Taxis shouldn't be underestimated as a method of transport. In 2015, 297,600 private hire or taxi driver licences were in use throughout England, which was an increase of more than 12,000 on the previous year. People still rely on taxis to get them around, whether that's in big cities like London, or in rural locations where transport options are more limited. With numbers rising annually, it's clear that the taxi is going to play a key part in keeping the world moving. So, how can a fleet manager stay on top of their vehicles, particularly in densely populated areas? At Gazoop, we're big advocates of GPS and the benefits it can bring to taxi fleet management. A quick glance at Gazoop's easy to read map, which integrates seamlessly with Google Maps, keeps you in touch with all your vehicles, letting you manage your fleet virtually from wherever you are. 1. Managers can log on to the map system and see where their drivers are located, making it easy to allocate the nearest driver to your waiting customer. 2. Real-time GPS tracking can help you and the police recover a vehicle should it be stolen or disappear off grid. 3. Dodge the traffic jams by keeping an eye on how things are moving on the major roads in your area, and letting your drivers know where to avoid. Keep fuel costs down, and reduce journey times for happier passengers. 4. Route tracking data allows you to keep an eye on where each vehicle has been, making auditing much easier. 5. Customers can see the progress of their taxi as it makes its way to them - no more waiting outside a building in bad weather. If you're looking for a dispatch system, which makes full use of the benefits of GPS, join the top taxi companies making use of Gazoop's GPS technology to improve their fleet management. 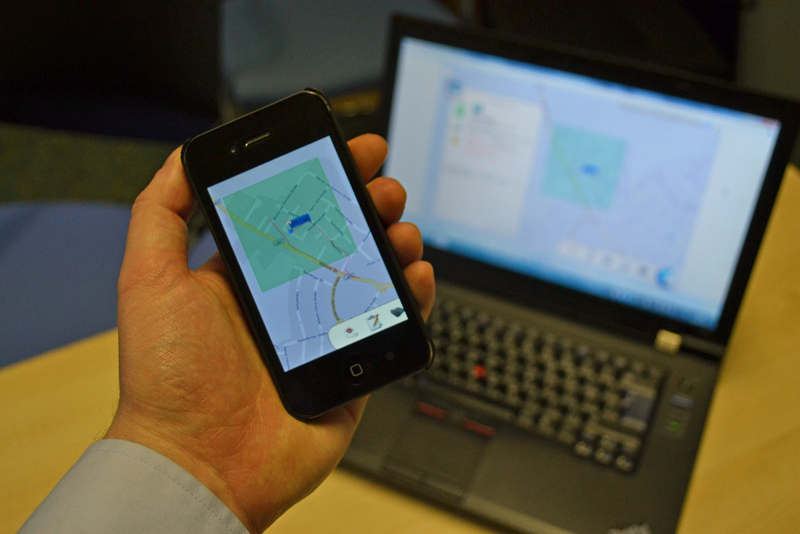 It's not difficult to see how Gazoop and GPS will help boost your business.